This post has been sponsored by THE CLOROX COMPANY and Viva® Paper Towels. All thoughts and opinions are my own. I love having houseguests come stay with us, but there can be a little stress that comes along with preparing your home for visitors. It’s so important to me that overnight guests feel comfortable and welcome to my home when they stay with us. To get our home ready I always follow the same routine. Today I’m sharing that routine with you! 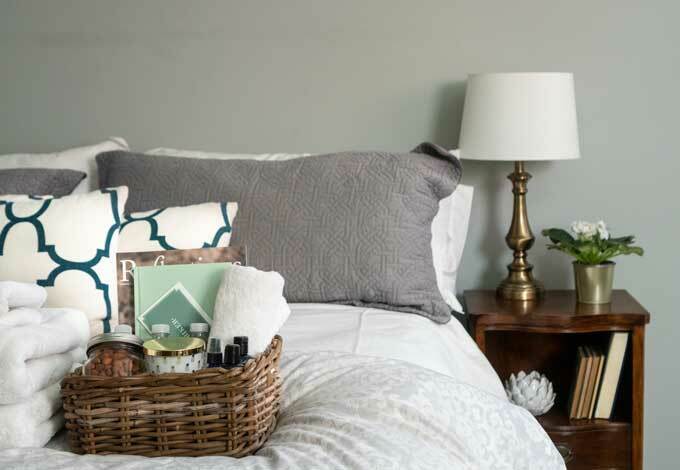 Here are 5 ways to prepare for overnight guests. It goes without saying that you want your home extra clean when welcoming guests. 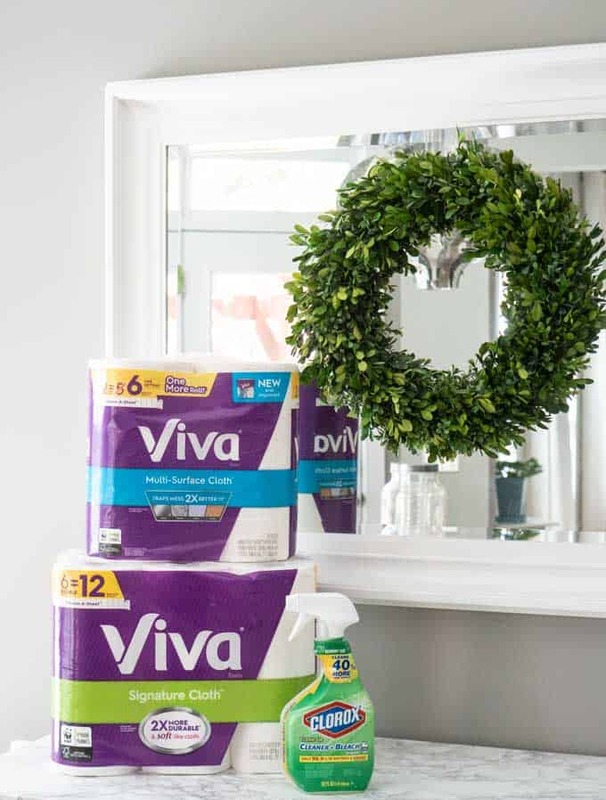 To get ready, I arm myself with Clorox® Clean-Up® + Bleach Spray and Viva® Multi Surface Cloths™ and get to work! 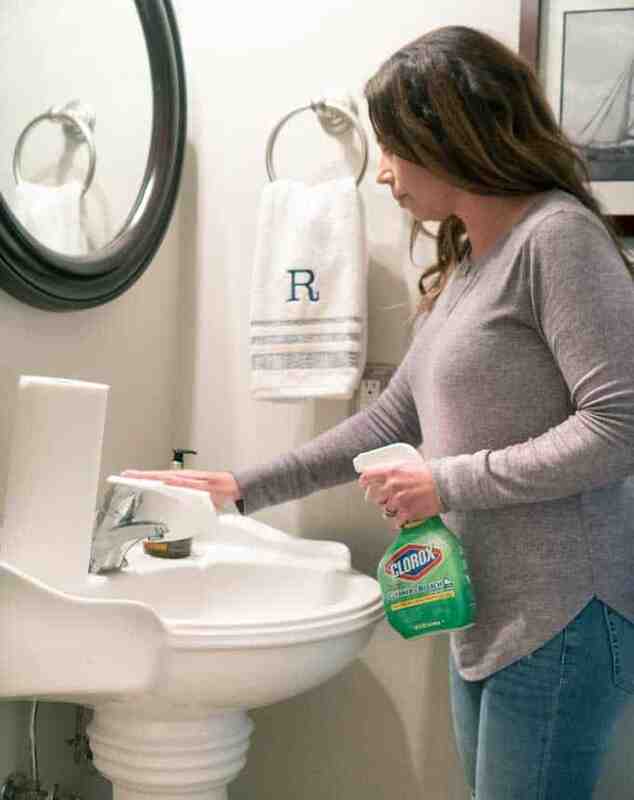 I normally follow a weekly cleaning schedule but before having houseguests I go the extra mile and make sure that the guest room, guest bathroom, and main living areas are extra clean. I like to use the Multi Surface Cloths because they have a cleaning texture with embossed patterning to trap mess better. It also performs well on all surfaces, like glass, wood, granite, and stainless steel, making it perfect for using all around the house. And of course, I cannot forget my Clorox® Clean-Up® which is my go-to cleaner for getting my home clean. 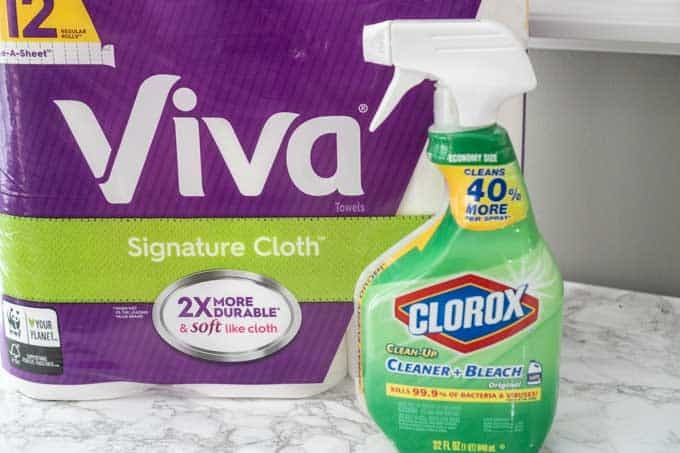 Save Now on Viva® Paper Towels and Clorox® Clean-Up with Bleach Spray at coupons.com! You don’t have to have a dedicated guest room to make your houseguests feel welcome. We have hosted guests in our son’s rooms, my husband’s office, even the kid’s playroom. The important thing is to create a comfortable and welcoming space. If you don’t have a bed for your guests, invest in a quality air mattress. Provide lots of pillows and extra blankets for your houseguests as well, it’s better to supply too many than too few! Remember that while you may be able to navigate your home blindfolded, your guest is in a new place so providing a bedside lamp is a must. You’ll also want to declutter the area. Part of the reason we feel so comfortable in a hotel room is that it is limited to just the essentials, make your guest room feel the same by eliminating unnecessary items. Be sure that there is a place for your guests to set their suitcase and unpack if necessary as well. As an extra special touch, add some fresh flowers or greenery to the room! 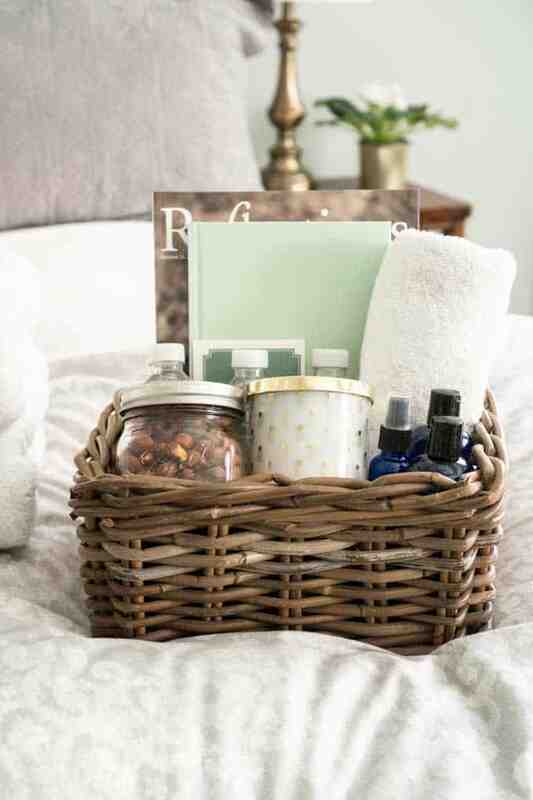 Preparing a guest welcome basket is a super easy way to add a special touch for your visitors. Simply find a spare basket (thrift stores are great sources for these if you need one!) and stock it with some essentials. I provide my guests with a few water bottles, snacks, some spare toiletries and a magazine or book I think they might enjoy. 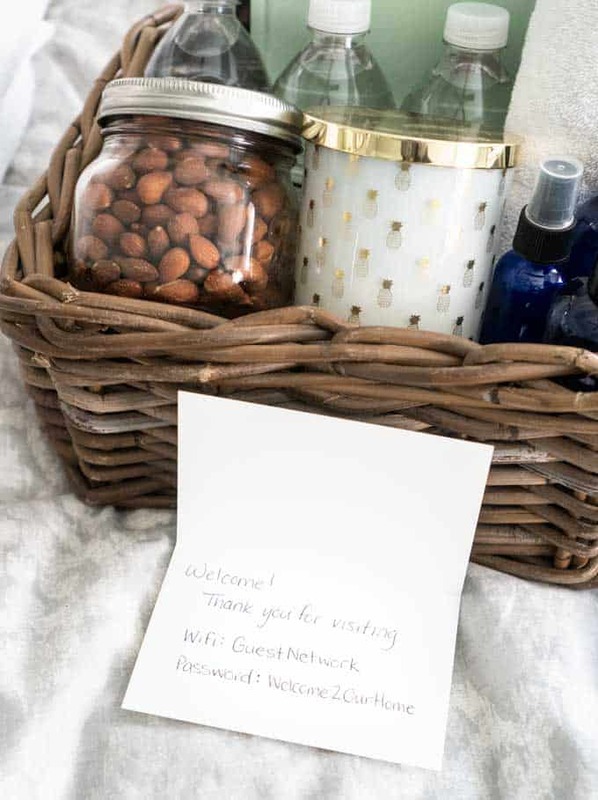 I like to add a hand-written welcome note to my guest welcome basket. In addition to saying how happy I am to have them visit, it also allows me to give them the house wifi code which is an essential part of hosting guests these days! For me, preparing the guest bathroom is every bit as important as preparing the guest room itself. Like I mentioned before, cleanliness is SO important, especially in the bathroom. Make sure your toilet, sink, and shower or tub are absolutely spotless. This is another area where I find it essential to use my Clorox® Clean-Up® along with Viva® Signature Cloths™. The Clorox® Clean-Up® kills 99.9% of germs when used as directed on hard, non-porous surfaces. When I couple that cleaning power with the durability of the Signature Cloth, I can get my guest bathrooms sparkling in no time! By following these 5 tips, you will have your own house ready for overnight guests in no time! 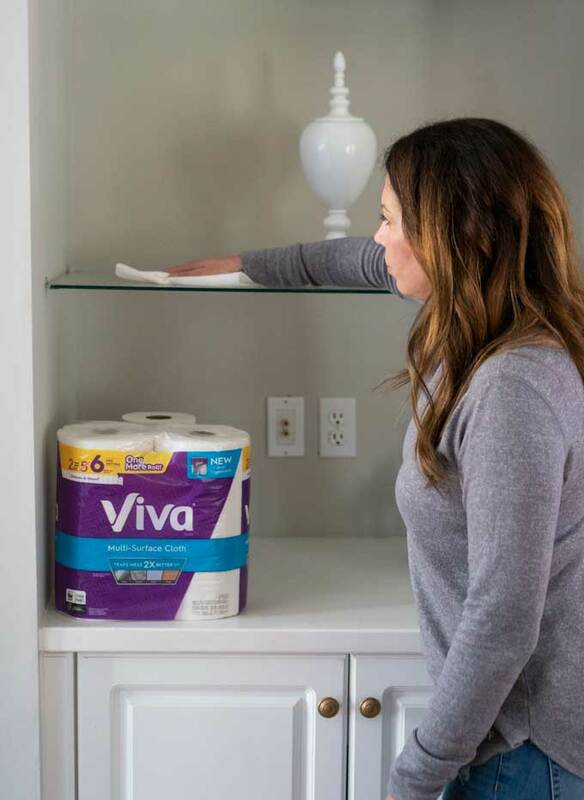 Be sure to stock up on Clorox® Clean-Up® and Viva® Paper Towels to help you make your house sparkling clean too! This is very handy to know, thank you! !